A Ving TTL is slated for March and a Witstro TTL is in the works, Godox says. Plus, our Ving review is coming soon. Just before the new year we wrote about the Godox Ving V850, the first speedlight powered by an internal lithium ion battery. We have received a sample of this flash for testing and evaluation purposes and we also have some exciting news on new products that Godox is currently developing. First some thoughts about the Godox Ving V850. I am surprised why this never has been done before. It seems so natural to use these type of batteries instead of the old fashioned AA batteries. 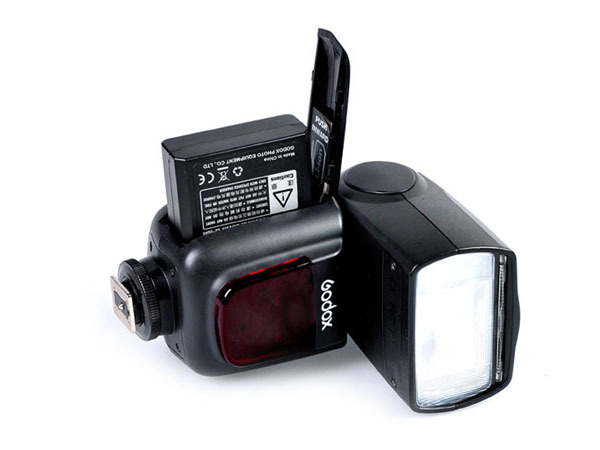 Godox have managed to integrate the external battery pack inside the flash, while maintaining the original size of a conventional speedlight. Performance is stellar, thermal resistance seems to be very good and the general finish is great. Stay tuned for a review. Let us know if there is something in specific that we should not forget to test. The exciting news we have is regarding a new version of the Witstro and Ving. Godox confirmed they are working on integrating TTL in these flashes, in the case of the Ving V850 this should be finished around March for the Canon version; the Nikon version will arrive one month later. For the TTL Witstro you will have to be a bit more patient, as no date is yet available. What do you think Godox should consider for the TTL versions of these two popular flashes? To me, besides an accurate TTL exposure, a proper auto focus assist is very important. What would you add?